At a recent Bellamy-Ferriday House event for Lilac Girls a small group of entrepreneurs gathered to offer their goods and I came across Nan Siegmund’s handmade jewelry. She bills her offerings as “whimsical hand-fashioned jewelry and other great finds” and I thought you’d enjoy seeing her Lilac Girls-inspired pieces. 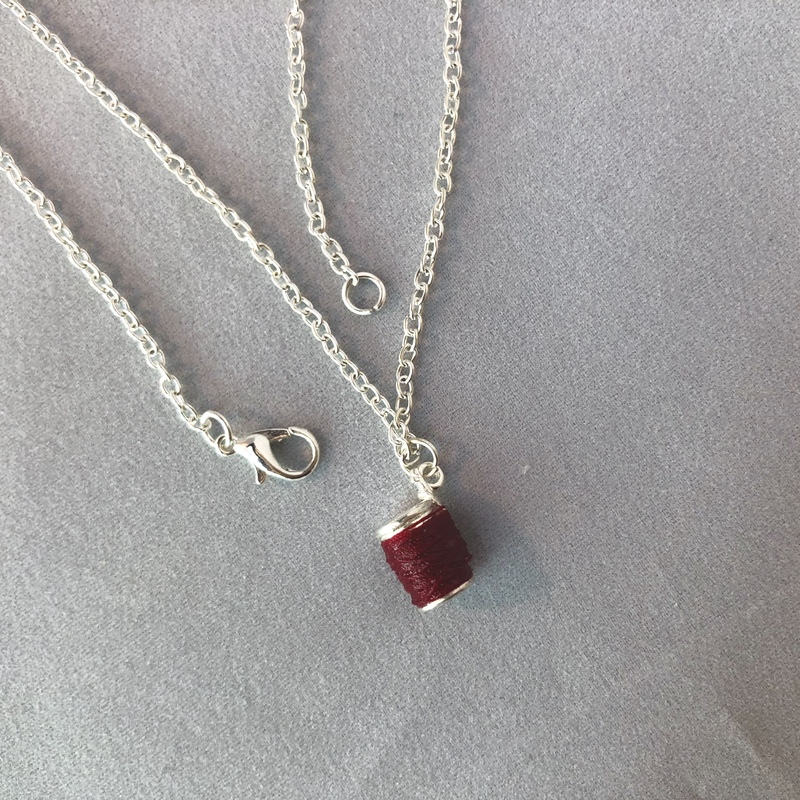 I have the red thread necklace, below, and love it. 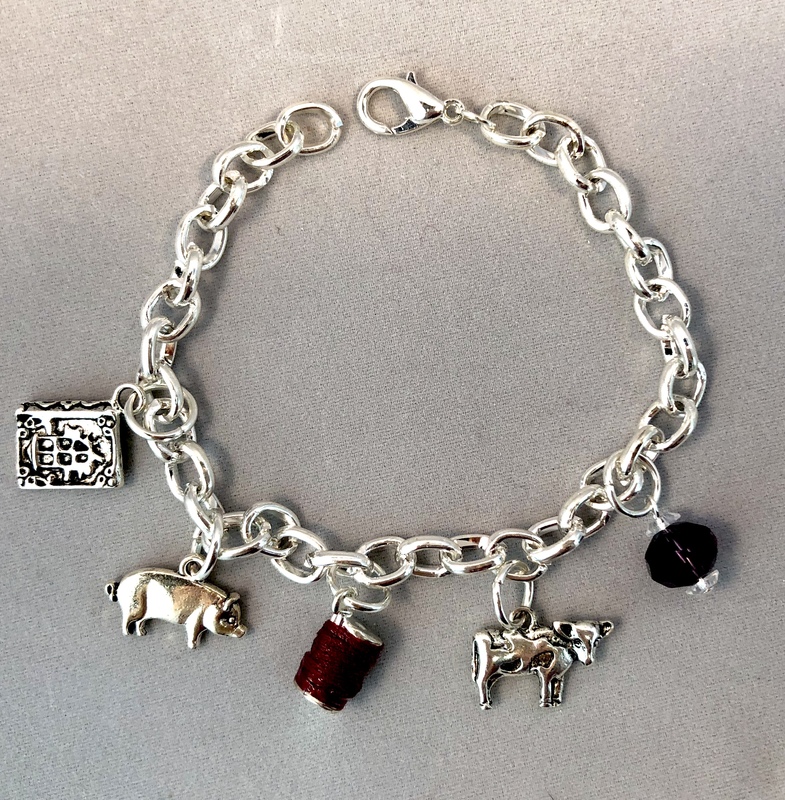 She offers a silver necklace with a tiny spool of red thread, charm bracelets with Caroline’s pig and some other book related items. 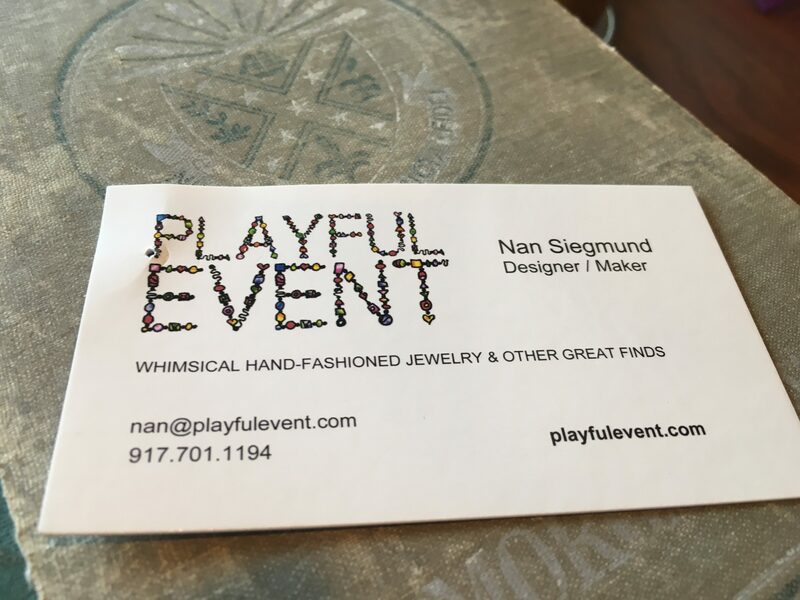 You can contact Nan at her email: nan@playfulevent.com or call 917-701-1194. 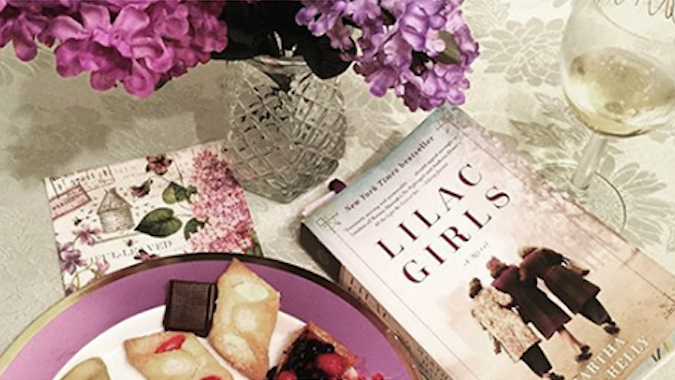 Previous postLike Some Hints about the Lilac Girls Prequel Lost Roses? You’ll Find Them Here.